Celebrate active living for heart disease! Celebrate active living for heart disease and life saving heart defibrillators (AEDs). 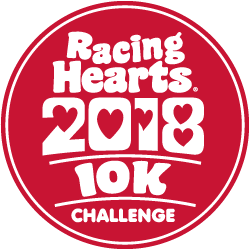 Racing Hearts is challenging you to complete a 10k at your favorite route location! Any time between March 1 and March 18, 2018, pick a time and place convenient for you. Any pace, any place, all you have to do is walk or run 6.2 miles. And to support heart wellness, many individuals are planning to run 'Heart' routes! If you live in the Bay Area, on March 18th, bring your family members, friends, and colleagues to King Plaza in Downtown Palo Alto (City Hall) to celebrate the end of the Racing Hearts 10k Challenge at a Family Wellness Festival! Attendance is free. Booths include Whole Foods, KIND bars, Patagonia and more! 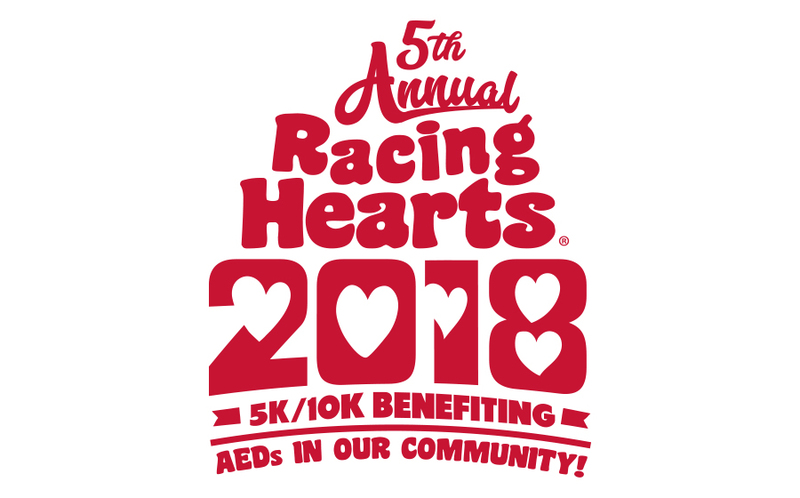 In addition to the 10k Challenge, participants are encouraged to register and fundraise for the 5th Annual Racing Hearts 10k Race. Proceeds and fundraising from the 5th Annual Racing Hearts 10k support education and funding of life saving heart defibrillators (AEDs). For more details about Racing Hearts and our 10k Challenge and Family Wellness Festival, click here! Upon completion of the challenge, participants will receive a unique digital finishers badge in their Trophy Case and link to a digital coupon from Whole Foods! Participants will receive a digital salad bar coupon to use at select Whole Foods locations upon completion of the challenge. The content in this challenge is the sole expression of Racing Hearts, a 501(c)3 nonprofit organization based in Palo Alto, California. To learn more about how to use Strava, please visit the Strava Support Center or email support@strava.com. Run or walk at least 10k during the Challenge period between March 1, 2018 and March 18, 2018. Upon completion of the challenge, participants will receive a unique digital finishers badge in their Trophy Case. Racing Hearts is responsible for all prizes associated with the challenge. To contact the Racing Hearts organization, please email their team at info@racinghearts.org.